So – you’ve completed an initial mortgage pre-qualification and now you’re ready to take the next step and meet with your lender or mortgage advisor for the pre-approval interview. Are you ready? At this stage of the application process your lender will dig into your financial background to ensure that you’re fully capable of making your mortgage payments and that you don’t present too high a risk. Let’s take a quick look at a few questions you should know the answers to before you go in for a mortgage pre-approval. If you’ve already picked out the perfect new home, be sure to bring along some of the details when you meet with your lender. At minimum you’ll want to know the price range that you’re expecting to buy in so that your mortgage advisor can try to find a mortgage that allows you to purchase the home and still meet your other financial goals. Your income (and that of your spouse, if you have one) will be a major factor in the size of your mortgage, your payment terms and the interest rate that you qualify for. 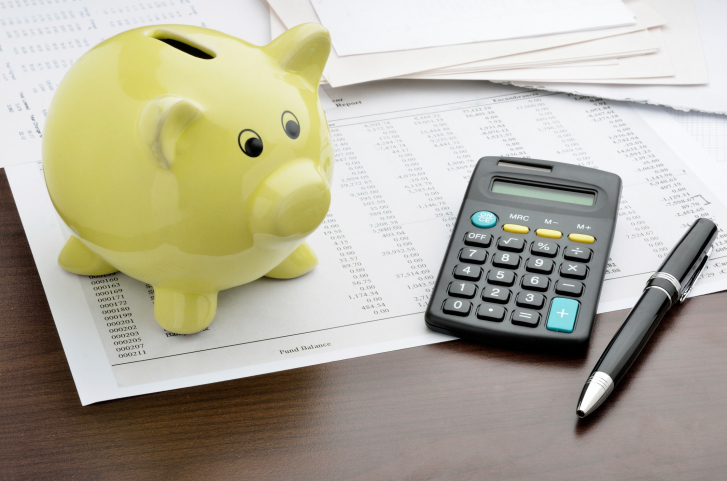 If you have a significant income and it’s clear that you will have little trouble making the mortgage payments you’ll likely qualify for a shortened amortization period that includes a lower interest rate. Conversely, if you can only afford to make a bare minimum monthly payment you’ll be facing a longer mortgage term. Finally don’t forget that interest rates will continue to fluctuate and that may have an impact on your mortgage in the near future. Be sure to share any major financial plans that you have with your mortgage advisor as they can keep you appraised of any refinancing opportunities that come about. Buying a home is an exciting time – one that will be far less stressful if you are fully prepared for the many steps along the way. The National Association of Realtors® reported that November sales of existing homes fell to 4.93 million sales against expectations of 5.18 million sales. October’s reading was revised from 5.25 million sales to 5.26 million. This was seen as an anomaly that may have occurred during uncertainty caused by volatile stock markets. Federal Reserve Chair Janet Yellen slow housing markets to tight lending standards in a recent statement. FHFA reported that October home prices connected with Fannie Mae and Freddie Mac mortgages increased incrementally year-over-year. October house prices increased to 4.50 percent year-over-year as compared to September’s year-over-year house price increase of 4.40 percent. November sales of new homes fell short of expectations according to the Commerce Department. 438,000 new homes were sold as compared to expectations of 450 new home sales and September’s reading of 445,000 new homes sold. This was the slowest rate of growth in four months. New home sales declined in three of four regions. Readings for November were -12.00 percent in the Northeast, -6.40 percent in the Southeast, -6.30 percent in the Midwest. Sales of new homes rose by 14.80 percent in the West. Analysts typically caution against reading too much into volatile month-to-month figures, but they are concerned about longer-term sales trends too. Sales of new homes were 1.60 percent lower year-over-year. The median sale price of new homes was $280,900 in November, which was 1.40 percent higher year-over-year. Mortgage rates rose across the board according to Freddie Mac’s weekly survey of average mortgage rates. The average rate for a 30-year fixed rate mortgage increased three basis points to 3.83 percent. The average rate for a 15-year mortgage rose one basis point to 3.10 percent. The average rate for a 5/1 adjustable rate mortgage was six basis points higher at 3.01 percent. Discount points were 0.60 for 30 and 15-year fixed rate mortgages and 0.50 percent for 5/1 adjustable rate mortgages. 280,000 new jobless claims were filed last week, a seven-week low. Analysts expected 290,000 new claims based on the prior week’s reading of 289,000 new claims. The four-week rolling average of new jobless claims also showed improvement with 8500 fewer claims at 290,250 new jobless claims filed. Stronger labor markets are considered good news for housing markets as more consumers can afford to buy homes. No economic reports were scheduled Thursday or Friday due to the Christmas holiday. 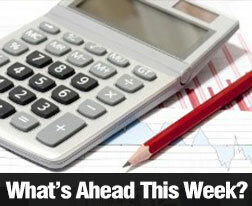 This week brings Case-Shiller Home Price reports, Pending Home Sales and Construction Spending. Freddie Mac mortgage rates and Weekly Jobless Claims will be released on Wednesday due to the New Year’s Day holiday on Thursday. The National Association of Realtors® reported that sales of existing homes dropped to a seasonally-adjusted annual rate of 4.93 million as compared to expectations of a 5.18 million existing homes sold. Projections were based on October’s reading of 5.25 million. November’s reading showed a 6.10 percent dip in sales of existing homes and was the lowest reading since May. Fed Chair Janet Yellen said last week that the less than robust housing recovery is due in part to tight lending standards. Lawrence Yun, chief economist for the National Association of Realtors®, said that November’s reading was likely an aberration due to volatility in the stock market, which could have dampened home buyer enthusiasm. 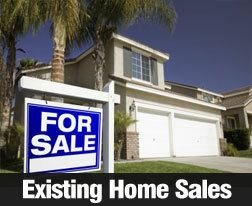 Analysts expect easing of mortgage guidelines and an improved job market to help increase home sales. The national median price for existing homes rose to $205,300 in November, which represented a year-over-year increase of five percent. Inventories of used homes rose to a 5.10 month supply, which was more than double the 2.01 month supply of existing homes for sale in November 2013. The Federal Housing Finance Agency (FHFA) reported a monthly gain of 0.60 percent for home prices associated with mortgages owned or backed by Fannie Mae and Freddie Mac. FHFA said that home prices rose 4.50 percent year-over-year in October as compared to the October 2013 reading of 4.40 percent year-over-year. The increase in FHFA home prices was likely connected to a decrease in foreclosure rates and fewer distressed sales. FHFA house prices encompass the nine census divisions. On a month-to-month basis, FHA home prices rose by 0.60 percent in October. Month-to-month home prices by census division ranged from -0.30 percent for the Pacific division to +1.50 percent for the Atlantic division. On a year-over-year basis, home prices increased for all nine regions and ranged from +0.80 percent in the Mid-Atlantic division to +6.00 percent in the Pacific division. Moving is not exactly enjoyable at any time of the year, but it can be especially stressful in the winter. Moving all of your items when it is snowing and blowing outside makes things a lot tougher. However, if you prepare accordingly and have the right attitude, you’ll find that your move will go much smoother. 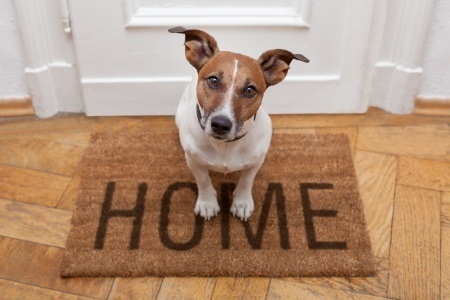 Here are five relocation tips that will help ease the stress of a move. When you are moving in the wintertime, you should keep your winter supplies, such as a snow shovel and salt, in the car with you. For example, let’s say you get to your new place and there is a lot of snow on the ground. If you have your shovel nearby, you can dig out a path from the driveway to the front door. If you see ice on the ground, you can sprinkle salt on it to prevent falling and hurting yourself. It is a good idea to watch the weather reports the day of your move. If they are predicting a big snowstorm or other dangerous conditions, it may just be best to reschedule your move to a different day. Hiring movers will cost some extra money, but it will be well worth it. If you hire professional movers to move your belongings, you will not have to worry about carrying heavy furniture in the snow and ice. They have the experience to get your items moved in a timely manner. If you are moving a long distance, you should get your car serviced beforehand. Take it to a trusted mechanic and have him check your tires and brakes. If you let a professional look at your car before your move, you will be less likely to break down on the road. When you move in the winter, you can bring in a lot of snow and salt from the outside, damaging your floors. That is why you should place cardboard or plastic on your flooring before you start the moving process. It will prevent snow, ice and other particles from ruining your floors. Moving during the winter is not exactly pleasant, but it does not have to be impossible. If you follow these helpful tips, you will have a much easier move. If you have any more questions, you should contact our trusted real estate professional today. Last week’s scheduled economic events were few but informative. Housing related reports included the National Association of Home Builders/Wells Fargo Housing Market Index for December, which stayed close to a nine-year high reading of 59 in September. December’s reading was 57 and fell two points shy of the expected reading of 59. November’s reading was 58. Readings above 50 indicate that more builders are positive about market conditions than those who are not. Housing Starts for November were lower according to the Department of Commerce’s report released Tuesday. The reading for November was 1.028 million starts on a seasonally adjusted annual basis. Analysts expected a reading of 1.035 million housing starts based on October’s level of 1.045 million starts. The Fed’s Federal Open Market Committee (FOMC) released its statement at the conclusion of its final meeting in 2015. Fed Chair Janet Yellen also gave a press conference that primarily supported information contained in the statement. The Fed did not foresee rising the target federal funds rate until mid to late 2015, and said that no changes were likely to be made at the first two FOMC meetings of the year. 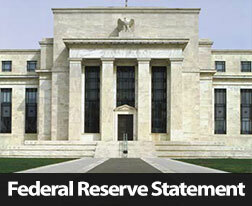 The target federal funds rate remains steady at 0.00 to 0.250 percent. FOMC members noted improvement in labor markets, but said that housing continued to recover at a slow rate. The Fed repeated its customary statement that FOMC members would monitor ongoing economic conditions and developments as part of any decision to change monetary policy. Chair Janet Yellen affirmed the committee’s position in her press conference. Mortgage rates fell according to Freddie Mac. The average rate for a 30-year fixed rate mortgage was 3.80 percent as compared to the prior week’s reading of 3.93 percent. The average rate for a 15-year fixed rate mortgage was 3.09 percent, which was 11 basis points below the prior week’s reading. 5/1 adjustable rate mortgages had an average rate of 2.95 percent; this was three basis points lower than the previous week. Discount points remained steady at 0.50 percent with the exception of average points charged for a 15-year mortgage, which increased to 0.60 percent. Weekly jobless claims fell to 289,000 against expectations of 295,000 new jobless claims; expectations were based on the prior week’s reading of 295,000 new claims. Analysts cautioned that weekly jobless claims readings can be particularly volatile during the holiday and early winter season. Economic news scheduled for next week includes the National Association of Realtors® report on November sales of existing homes and November sales of new homes, which is issued by the Department of Commerce. Consumer sentiment, consumer spending and core inflation reports will also be issued next week. No economic reports will be issued Thursday or Friday due to the Christmas holiday. 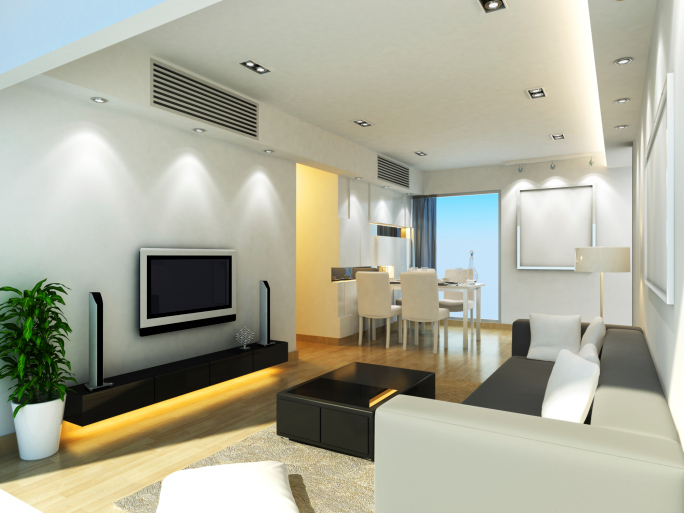 Light is an important design element that can be used to influence your interior decor in a number of ways. In fact, you can experience a major transformative change on the overall style and ambiance of a room by making a few simple lighting changes. Consider how these ideas can help you to improve the look of your space with great results, and think about ways that you can improve your space by making a few changes. If you have fine pieces of artwork, decorative display areas or other features that you want to illustrate with beautiful clarity, the addition of spotlights is a great idea. You can shine light on these special features in your home by installing a single, bright fixture with a focused beam overhead, or you can use track lighting to highlight larger features. In some cases, the design or layout of your room may be sufficient to allow lighting to be placed at eye-level or even below the fixture to shine upward at it. While spotlights can shine a focused beam of light on fixtures, you can also use background lighting for ambiance. Consider how you can incorporate background lighting with under-cabinet kitchen lighting, dimmer recessed lighting placed behind a sofa or other features. Generally, these are lights that do not provide direct lighting, and the light may not be the main source of light in the room. It may even have a hint of color to it for a dramatic flair that further establishes ambiance. Another idea is to use beautiful or decorative lamps in your room. These may be smaller desk lamps, towering floor lamps or table top lamps. There are lamps available in a wide range of colors, sizes and styles. The lighting from the lamps may influence ambiance and provide functional lighting, but the decorative nature of the lamps themselves can enhance the décor even when the lights are not turned on. There are many different types of lighting that can influence your home’s décor, and in many cases, it makes sense to incorporate each of these styles of lighting in a single room to enjoy different benefits. You can study your rooms’ layouts and designs today to learn more about how the existing light fixtures influence decor, and you can make a few appropriate changes to enjoy better overall results for your space. The Federal Open Market Committee (FOMC) said in its last statement for 2014 that although economic conditions have improved at a moderate pace, the Fed believes that the target federal funds rate of between 0.00 and 0.25 percent remains “appropriate.” While labor markets show expanding job growth and lower unemployment rates, FOMC members noted that housing markets are recovering slowly. Inflation remains below the committee’s target rate of two percent; this was attributed to lower fuel costs. Household income and business investment were seen as increasing, and the underutilization of workforce resources was described as “diminishing.” These developments indicate better economic conditions for consumers, business and job seekers, as employers picked up the pace of hiring. No year-end changes in monetary policy were made; the Fed issued its usual statement that developing economic conditions would guide the Committee’s decisions concerning the target federal funds rate. The FOMC statement said that changes could be made according to progress toward or away from achieving the Fed’s dual mandate of maximum employment and price stability. No specific date was given for raising the target federal funds rate. The FOMC statement noted that no change is likely as long as the inflation rate remains below the Fed’s longer-term target of two percent. The FOMC statement was followed by a press conference given by Janet Yellen, fed chair and Chair of the FOMC. Janet Yellen, chair of the Federal Reserve and FOMC, said that she expects lower oil prices to be a transitory influence on inflation, which continues to run lower than the Fed’s target rate of two percent. Media representatives noted that Chair Yellen replaced the phrase “considerable time” with “patient” in reference to when the Fed might raise the target federal funds rate. Ms. Yellen said that the gross domestic product (GDP) had increased by 2.50 percent over the prior four quarters ending with the third quarter of 2014, and said that the economy continues to grow at approximately the same pace. Concerning falling inflation, Ms. Yellen said that she expected the inflation rate to increase after transitory influences including oil prices dissipate. The Fed Chair said that she perceived lower oil prices to be a positive development for the U.S. economy on net. In response to questions about when the Fed would raise the target federal funds rate, Chair Yellen said that it would likely occur sometime in 2015 and also mentioned “sometime after the next couple of FOMC meetings. This suggests that mid 2015 may bring a change, but Ms. Yellen repeated the Fed’s oft-stated position that continual review of economic conditions and developing trends would impact any decision to change or not change the federal funds rate. Every owner of condominium property automatically becomes a member of a homeowners association, otherwise referred to a “HOA” throughout the United States or a “Strata” in Canada. With that membership come certain rights and responsibilities. The primary right that the owner has is to vote at HOA meetings and elect board members. Responsibilities include payment of condo fees and assessments, compliance with association by-laws and rules, and maintaining a condo unit in conformity with those by-laws and rules. Let’s take a quick look at various other terms you may hear about from your new HOA. The declaration of condominium establishes the existence of a condominium property. It gives the precise location of the property through a legal description and describes each individual unit in the development along with the various common elements. Ownership of an individual condominium unit is defined by the declaration of condominium and ordinarily consists of the interior walls and everything within the interior walls of a dwelling unit. Anything outside of that unit is usually considered to be a common element, such as the entryway, the swimming pool, the tennis courts, the parking lots and more. This is property both inside and outside of buildings that the individual condo owner has an undivided interest in. It would include any common hallways, garages, parking lots, recreational facilities and open space on the property described by the declaration of condominium. If for example, there are 100 units in a condominium development, each individual unit has an undivided one percent interest in the common elements. Homeowners associations tend to operate like a small democracy. When matters are brought up at meetings to be voted on, each condo unit has one vote. Each HOA has an elected board of directors. They’ll meet once a month to decide on association business and make decisions on behalf of the HOA. The unit owners are permitted to be present at these meetings. Owners are responsible for any repairs within the walls of their dwelling unit. They might be responsible for damage to other units from leaks or flooding from a burst pipe. Depending on the by-laws, the unit owner might be responsible for maintenance or repairs of any pipes or electrical wires running behind their walls. The association is responsible for anything on the common elements. Don’t let the purchase of your next home get derailed. If you’re thinking of getting started on condo shopping, your trusted, reputable and highly experienced real estate professional will guide you through your condominium purchase. 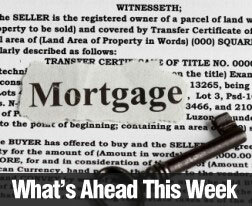 Although there were few scheduled economic events related to mortgages and housing, last week brought an article about housing projections for 2015. Other news included increased job openings along with lower than expected jobless claims and higher mortgage rates. The U.S. Department of Commerce reported that November job increased to 4.80 million as compared to October’s reading of 4.70 million job openings. Weekly jobless claims corresponded as new claims fell to 294,000 as compared to the prior week’s reading of 297,000 new jobless claims. This was the lowest reading for new jobless claims in three weeks. Analysts had expected a reading of 206,000 new jobless claims. Further signs of economic strengthening were seen in the retail sector. Retail sales posted their strongest gains in eight months with a gain of 0.70 percent in November according to the Commerce Department. November’s reading exceeded expectations of a 0.40 percent increase which was based on October’s original reading of a 0.30 percent increase in retail sales. November’s retail sales (excluding automotive sales) rose by 0.50 percent, which was the highest reading since June. October’s reading was later revised to 0.50 percent. Automotive sales rose by 1.70 percent in November, which was their highest reading since August. Amidst last week’s economic gains, mortgage rates also rose. Freddie Mac reported that the average rate for a 30-year fixed rate mortgage was 3.93 percent, a gain of four basis points over the previous week. The average rate 15-year mortgage gained 10 basis points at 3.20 percent. The average rate for a 5/1 adjustable rate mortgage rose by four basis points to 2.94 percent. Average discount points for all three loan types remained steady at 0.50 percent. Mortgage rates predicted to rise: Stronger economic conditions and no Federal stimulus are expected to contribute to rising mortgage rates, which some analysts said were expected to rise to approximately 5.00 percent for a 30-year fixed rate mortgage. Home price growth and affordability expected to decline: Home prices gained 6.40 percent year-over-year in October 2014 as compared to growth of 10.60 percent for the same period in 2013. High demand for homes in pricey markets coupled with rising mortgage rates are expected to price the middle class out of many high-demand markets. This week’s scheduled economic events include the Wells Fargo/National Association of Home Builders Housing Market Index report for December and the Commerce Department’s December report on Housing Starts. The Federal Open Market Committee (FOMC) of the Federal Reserve will release its customary statement after its meeting concludes on Wednesday. The FOMC statement will be followed by a press conference given by Fed chair Janet Yellen, who also chairs the FOMC.